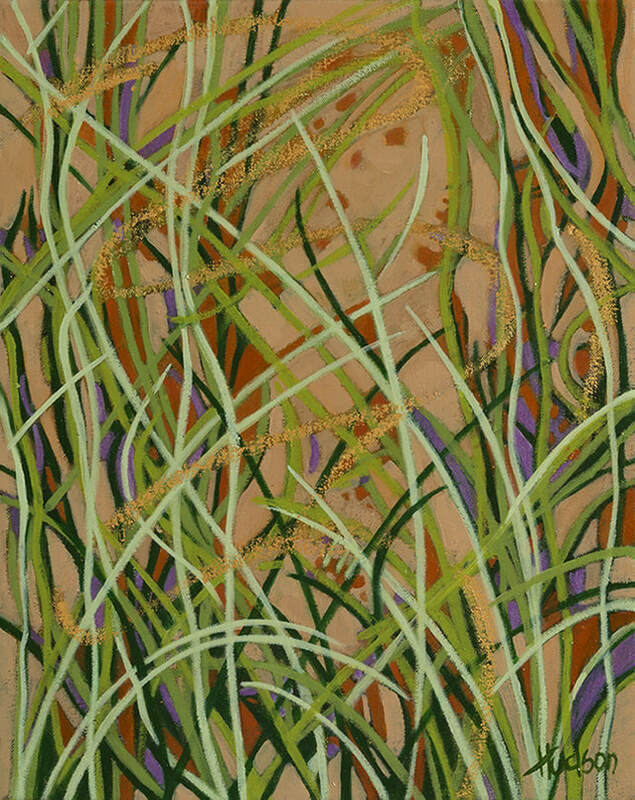 In the early 1990’s when my husband and I moved from Taos to Albuquerque, we were fortunate to live in close proximity to the Rio Grande River with its lush, grassy banks and cottonwood forests. This landscape, in addition to the treasured time that I have spent at the Bosque del Apache National Wildlife Refuge south of Socorro NM, inspired a whole new direction in my painting. 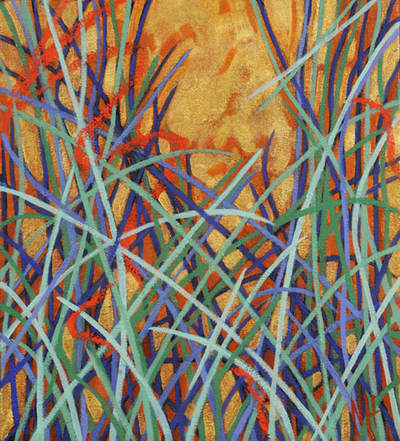 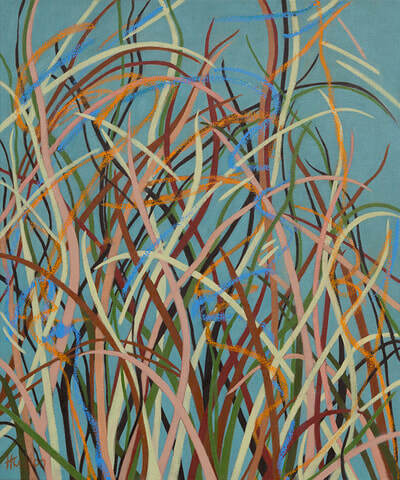 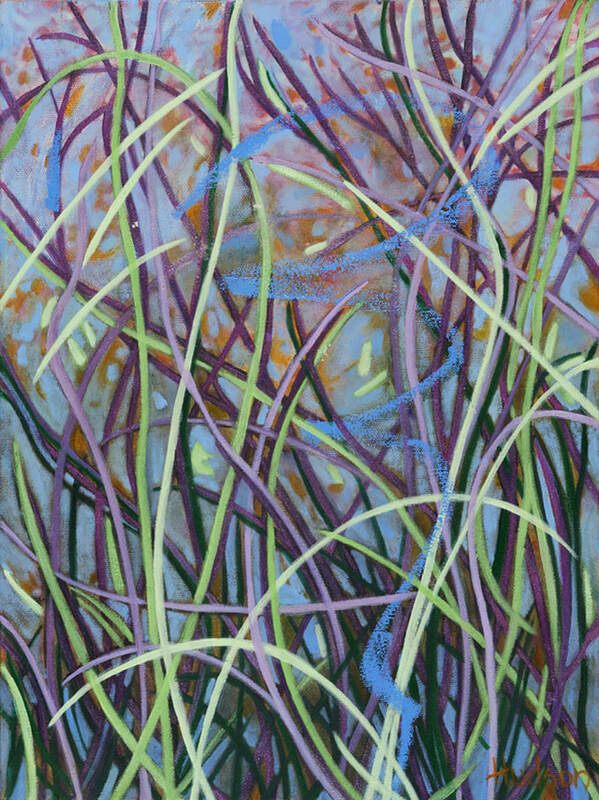 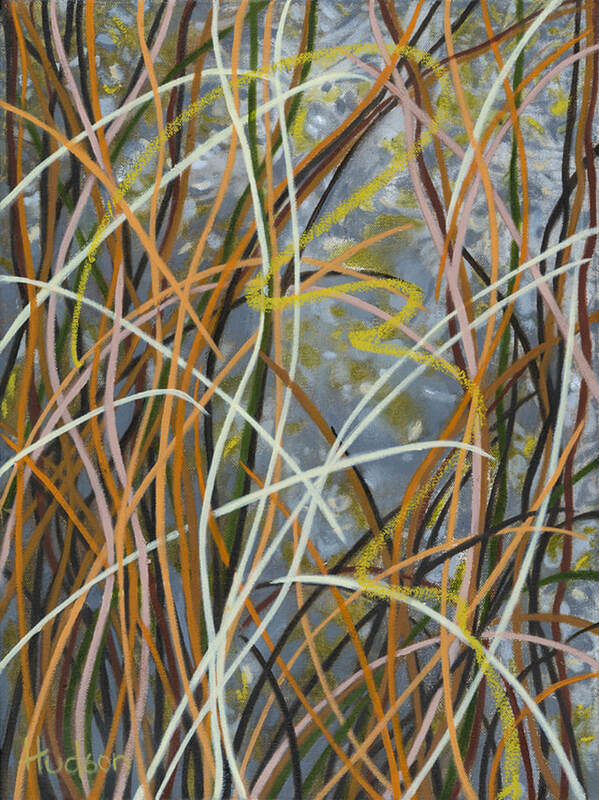 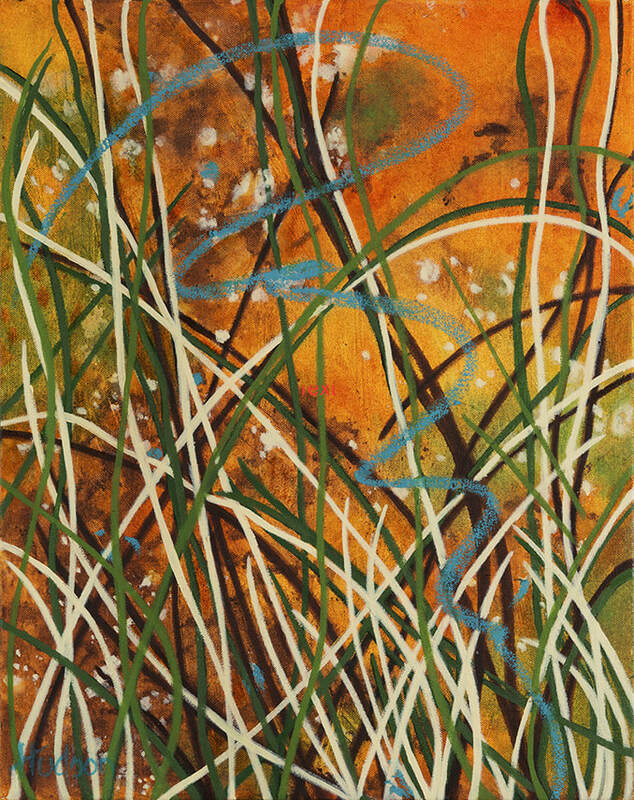 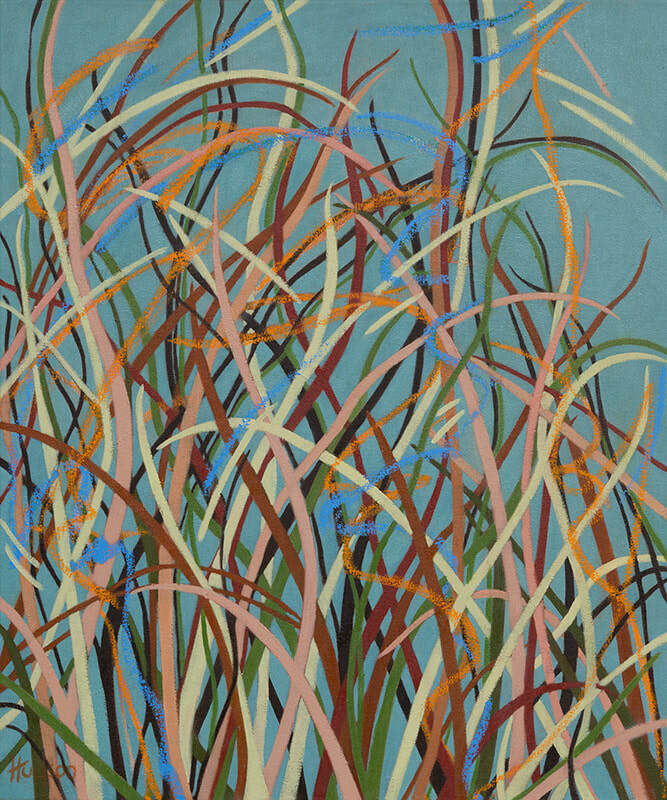 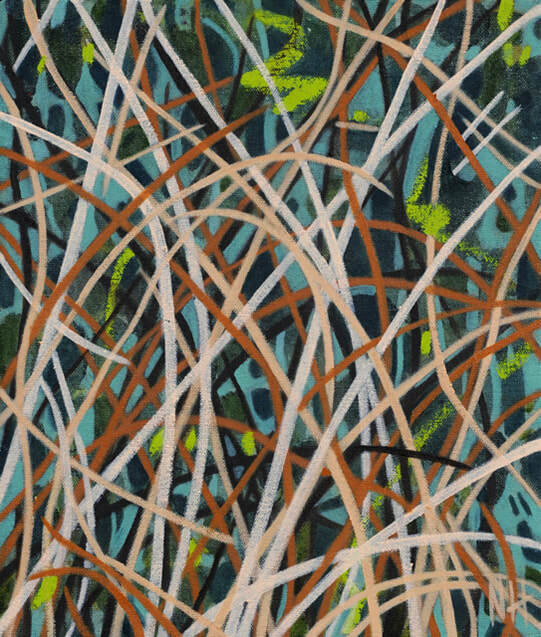 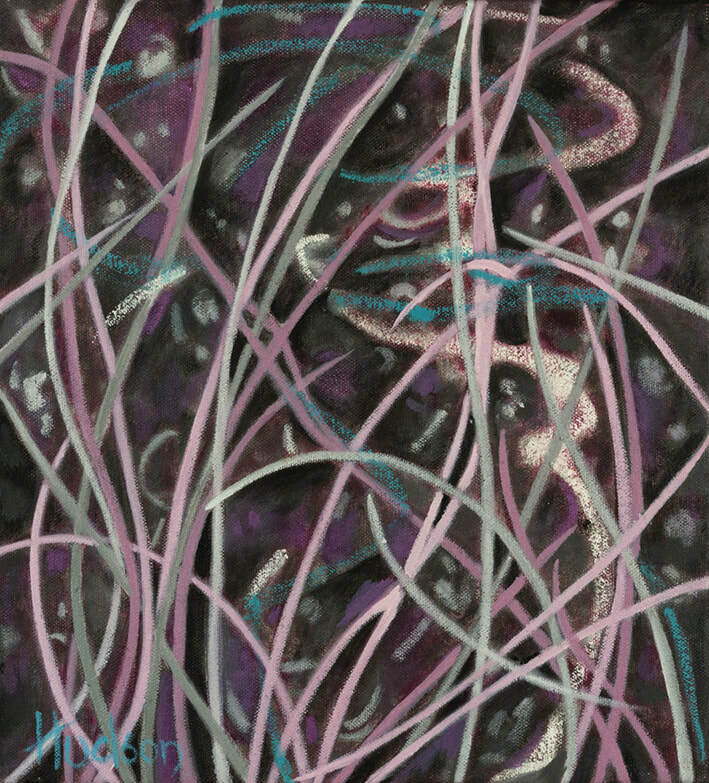 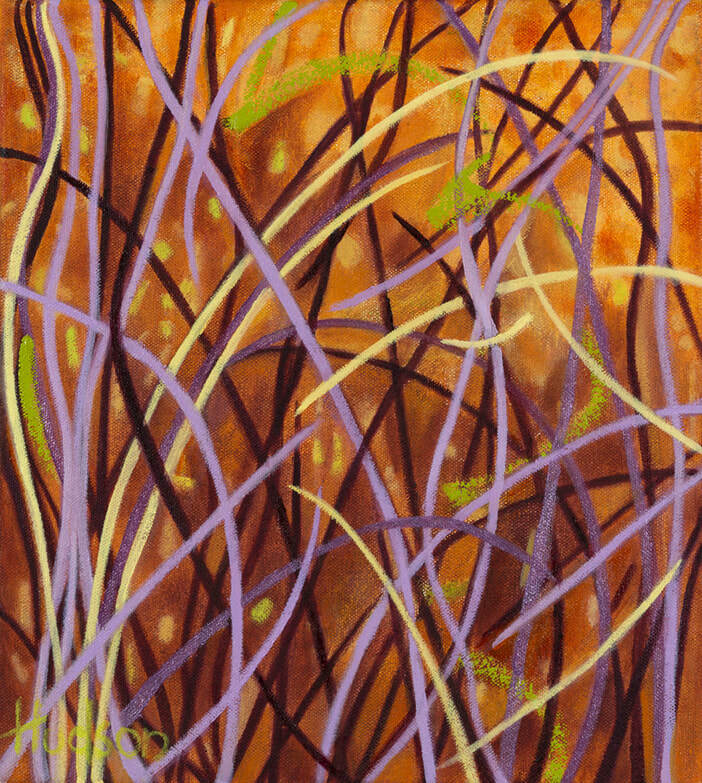 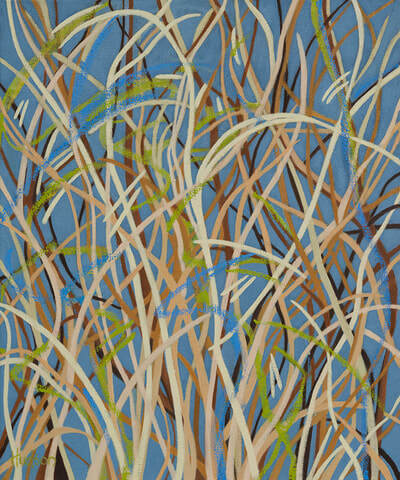 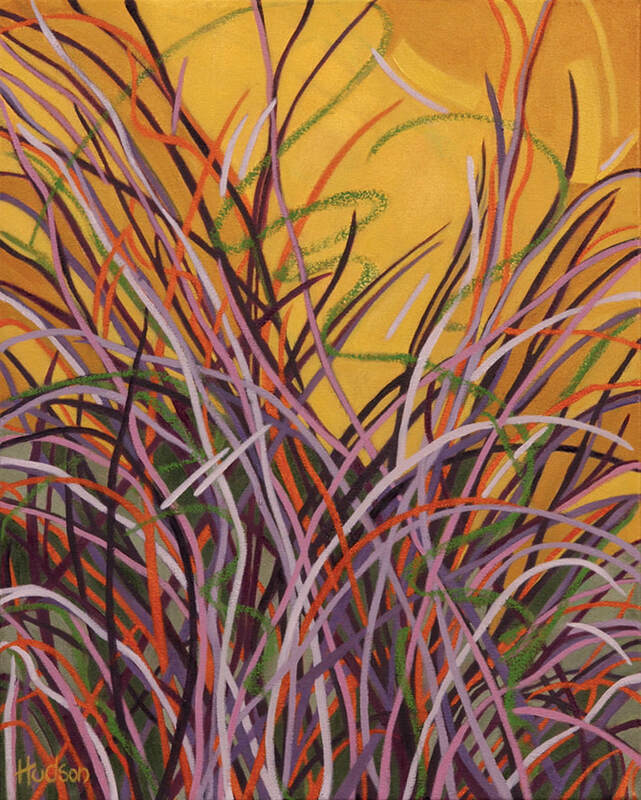 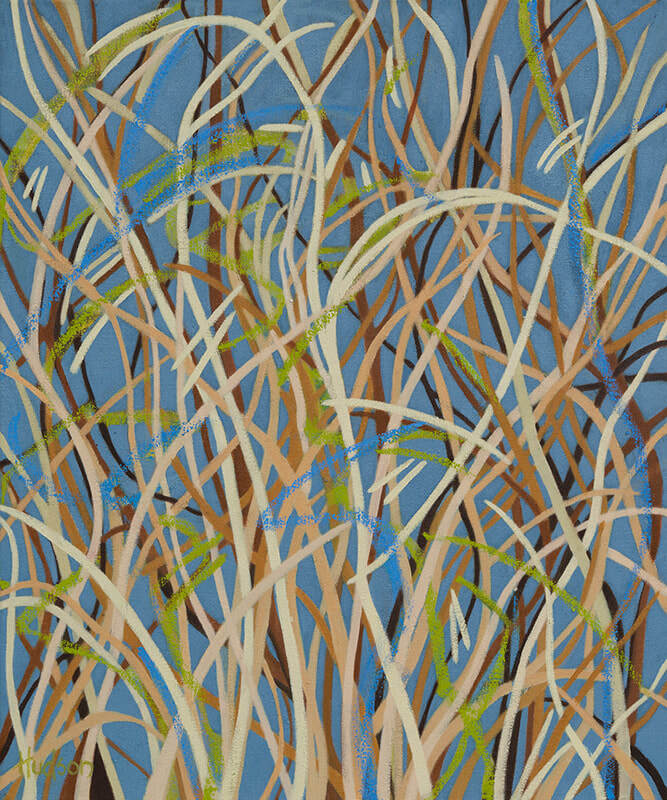 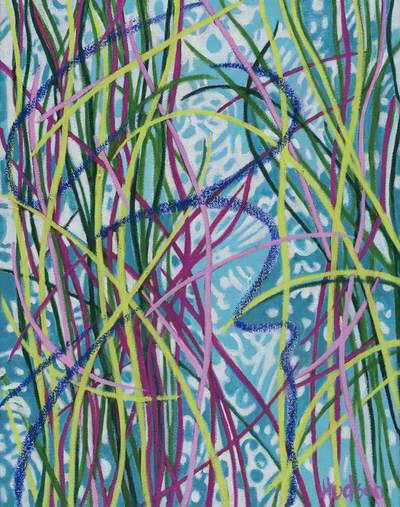 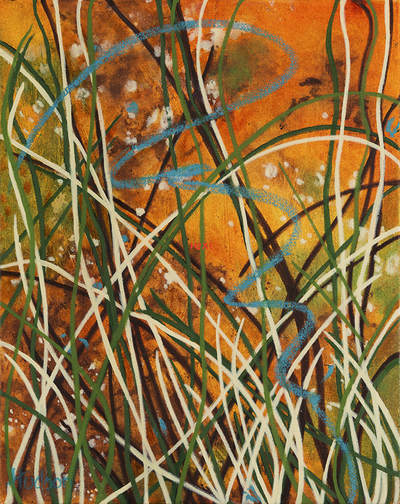 This magical world, viewed close-up, of intricate patterns and variation of colors, which appear in the wetlands during the different seasons of the year, has inspired the creation of forty-five, various-sized paintings in the Patterns of Nature Series. In this current exhibition of small works, as in all of the paintings, I attempt to provide the viewer with an experiential feeling of place rather than an exact replica of it.